UNCG had spring break this week, and Joyce and I decided to go to Manteo, NC, last weekend for a quick trip to the Outer Banks. 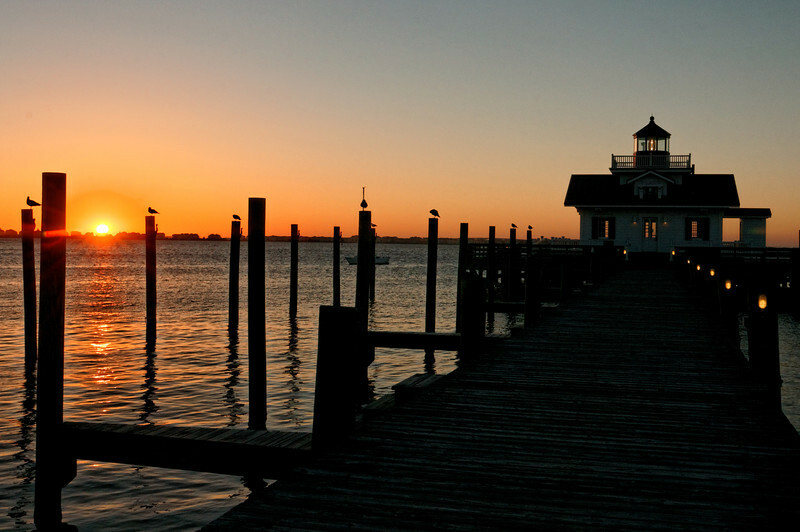 Manteo is on Roanoke Island, site of the Lost Colony. We stayed at the Tranquil House Inn on the harbor. Very nice. The 1587 restaurant in the Inn is excellent, with a harbor view. Although we had been through Manteo a few times, this was the first time we had stayed there. It is a beautiful, quaint southern town. We also visited Wanchese, a small but serious fishing village on the southern end of Roanoke Island. Manteo and Wanchese are named for two native Americans who went back to England with Governor John White, the English-appointed governor of the new Virginia, when he made his first trip back to get more supplies for what we know today as the Lost Colony. We also make quick visits to Duck and Carolla. We also drove up Highway 158, which runs up the western side of Currituck Sound. Had lunch at the Frog Island Seafood Market. Perhaps the best fried seafood we have ever had. We had arrived in the area just after a major storm had moved up the coast. Although the storm was gone, the ocean waves were very high and the sea was rough. I have never seen such waves in all my trips to the Atlantic Coast. You will see a number of pictures of them. Many of these I took from Jennette's Pier in Nags Head. This is a new pier built on concrete pilings and opened in 2011. It is one of the longest, if not the longest pier, on the Atlantic Coast. As a result, I was able to walk out on the pier and get pictures it would be difficult to get otherwise. We discovered an Elizabethan Garden just north of Manteo, in the same area as the Lost Colony Theater. We were not aware of this garden and spent several hours there on Sunday morning. You can also see more pictures from this area by selecting my Outer Banks and Lake Mattamuskeet 2012 gallery from the gallery list.